It seems like the first day of school gets earlier and earlier every year, doesn’t it? 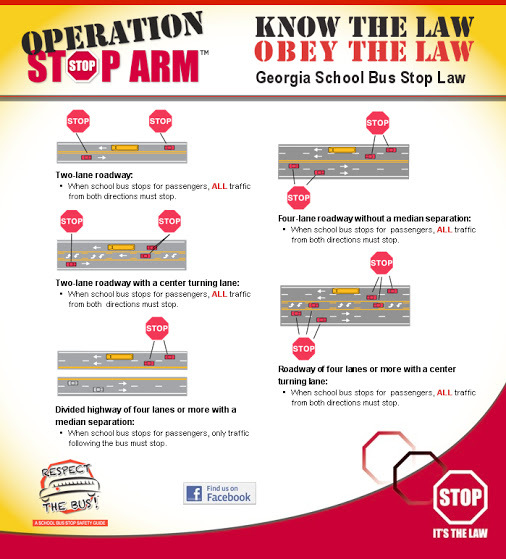 With the beginning of the school year comes traffic in Atlanta, and an increased number of certain traffic and criminal offenses. Some of these offenses are not well-known. So for the next few weeks, I’ll be highlighting these offenses and educating you on how to stay out of trouble, and what to do if you do find yourself with a school-related ticket or a criminal case. This week, I’ll be focusing on Passing a School Bus. This is especially important this school year, because the wording of the statute changed on July 1, 2018. Essentially, any person meeting a bus from any direction must stop when the bus has its warning lights activated, or when its stop sign or arm on the front of the bus is deployed. Vehicles must remain stopped until these visual cues are no longer activated or when the bus begins moving again. This applies to drivers approaching the bus from the rear and to drivers driving in the opposite direction of the bus. Previously, the law stated that drivers traveling in all directions had to stop unless a concrete or grass median was present, even if the road was divided by a turning lane. See here for a graphic. It appears that now, however, drivers traveling in the opposite direction of the bus need not stop if a turning lane is present. The maximum fine for a violation of this law was also reduced to $250 (previously it was $1,000) as part of the same legislation. It’s still a very serious offense as far as traffic cases go, and violation can result in the assessment of 6 points on your license. Click here to read more about Georgia’s points system. One of the sponsors of the bill in the Georgia Legislature, has stated that the intent of the change is to force bus drivers to drop children off on the side of the road where they live. Some school officials have expressed concern with the change, believing that it will make children less safe. In conclusion, even if you no longer have to stop for a school bus that’s traveling on the other side of a highway divided by a turn lane, you should still proceed with extreme caution. For one, other drivers may not know of this change in the law, so they may still stop. And second (and most importantly), there are children around. Help keep them safe by driving carefully.